June 2, 2017: Mercedes-Benz has launched the.new E 220 d variant at Rs 57.14 lakh ex-showroom Pune. The price will be adjusted for GST post implementation. The E 220 d is powered by a new 2.0-litre 4-cylinder engine making 194PS of max power and 400Nm of peak torque, it is availbale in the long wheelbase version only and also comes with the chauffeur package. Back in February, the new E-Class was launched with a price of Rs 56.15 lakh for the E 200 petrol and Rs 70.15 lakh for the E 350 d diesel. 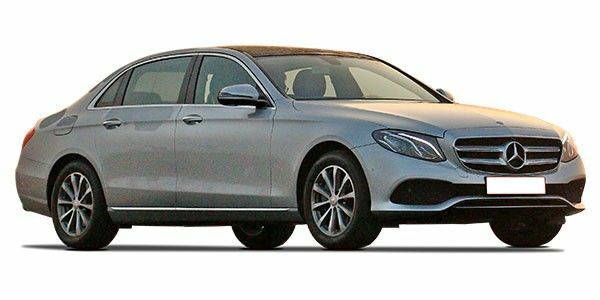 What sets the new E apart from all previous E-Class sedans especially in India is that it is available a long-wheelbase version only. Engine options include the 184PS/300Nm 2.0-litre petrol, as well as a 258PS/620Nm 3.0-litre diesel. Features on offer include AIRMATIC suspension which is only available on the E350d, electrically reclining rear seats, a panoramic sunroof and a 13-speaker Burmester audio system. The E-Class will go up against the likes of the BMW 5 Series, Audi A6, Jaguar XF and the Volvo S90. Mercedes-Benz E-Class prices start at Rs. 59.12 lakh for petrol and goes upto Rs. 1.81 crore. The prices of E-Class diesel variants start at Rs. 60.13 lakh and the top-end diesel is priced at Rs. 73.22 lakh. Mercedes-Benz E-Class is available in 5 variants and 7 colours. Share your experiences with E-Class? The claimed ARAI mileage for the Mercedes-Benz E-Class petrol is 15 kmpl, and for the Mercedes-Benz E-Class diesel is 18 kmpl. Q. What is the feature wise difference between Mercedes E200(petrol) and E220d(Diesel)?? Q. I want to buy car but confused bitween Merc E 220d or BMW 530d M Sport so please suggest me which the best? Q. I am playing to buy E class but not sure whether I buy E200(Petrol) or E220d(Diesel). Q. I am interested in buying a preowned merc for average running of 300 to 400 Km / week. Since this will be my first Luxury car I need guidance about which model I should go for. I need most economical and affordable car. Q. Does the new E Class has multibeam led? Does it have virtual cockpit like digital instrument cluster? Mercedes Benz E-class is one of the most famous offerings of German car maker in the Indian market and is priced in the range of Rs 56.47-77.11 lakh (ex-showroom, Delhi). In term of exteriors, the E-class features very Aerodynamic and contemporary styling, making it favourite among the business tycoons. The overall design is very fluid and all the cuts and creases gel into each other seamlessly. Get inside the cabin and you will find an abundance of luxury with a good amount of space at both front and rear seat. Under the Hood, Mercedes has offered a range of petrol and diesel engines - 194PS 2.0-liter diesel, 258PS 3.0-liter diesel, 184PS 2.0-liter petrol, and 333PS 3.0-liter Petrol. On the transmission front, E-class comes with either 7-speed or 9-speed automatic gearbox. Mercedes E-class has got the likes of BMW 5-series, Volvo S90, Audi A6, and Jaguar XF in its crosshairs. 2013 Mercedes-Benz E-Class : First Drive Pics!